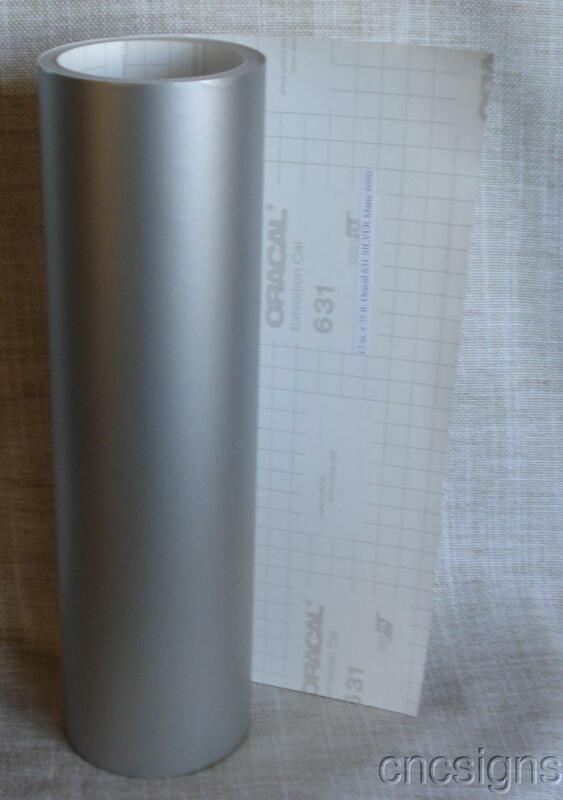 Oracal 631 Matte SILVER Removable Vinyl 12" x 300" Roll #090 EZ REMOVE 25 ft. Perfect for your Cri cut Expressions, matte finish is designed to look like paint. This vinyl is great for wall applications, home decor, wall lettering and scrapbooking it is removable but no reusable! This vinyl does have a matte finish! Easy cut-lines on back allow for easy trimming to fit any vinyl cutter plotter including Cricuits! If you have a vinyl cutter/ plotter or just need some adhesive-backed self stick vinyl to "cut by hand", here is a reasonable, cost effective way to get into production. FRESH NEW STOCK LONG LIFE. Designed for general purpose interior, Window Graphics, Designs, Logos, (please keep in mind that this vinyl is removable not High Performance Vinyl ) Also good for arts and crafts, school projects, store displays, point-of-sale items, shelf liner etc... Super material for temporary signage such as FOR SALE & GRAND OPENING signs on windows or walls. It is removable up to (2) two years. We will be listing more of this vinyl and some different COLORS: RED, BLUE, YELLOW, PINK, GRASS, GREEN, WHITE, BLACK look for our other auctions. Specifications: Commercial Grade - 3 mil - 3+ Yr. Expected Durability, adhesive-backed selfstick vinyl, w/color on both sides. GREAT for CRI CUT Personal Electronic Cutter, or any sign plotter. Cricut uses the term "1.5 mm" (1.5 mm is apx. 1/16" thick) and in the Sign Vinyl business we call the vinyl "3 mil" that is not the same as "3 mm" our vinyl is very thin, it�s only 3 mil. or .110mm, so we hope this clears up any confusion. U.S.A. SHIPPING w/in ALL of the U.S.A. yes: AK, HI, & PR. too. U.S.A. BUYERS to pay $8.50 S&H 1st item, $3.70 S&H ea. additional item shipped at the same time to the same address (most items) thereafter with in the USA. You MUST make only (1) ONE TOTAL PAYMENT, for ALL items. Don't know how? eMail us DIRECT! DO NOT Pay for each item separately or you will have to pay the FULL $8.50 S&H on each item! SHIPPING & HANDLING out of the U.S.A. See eBay SHIPPING INFO. or eMail us direct. ~ Please allow 5-9 Business days for delivery from CLEARED payment ~ We need to receive YOUR NAME & ADDRESS w/in 24 hours form purchase. We must receive payment within 4 days of purchase or else we turn it over for NON PAYMENT! It�s simple! You purchase you PAY! By clicking BUY this item you agree that you have READ ALL of our RULES and agree with all of them before buying, if not please do not purchase this item. All sales are final. NO REFUNDS! Any problems with your sale please contact us FIRST before posting feedback for CnCsigns.